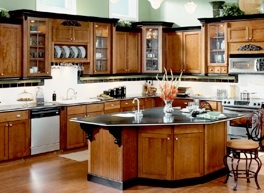 Siskin Cabinet Doors Ltd. is a wholesale distributor, supplying cabinet doors to Kitchen cabinet manufacturers and millwork shops. We offer competitive pricing and excellent delivery times. Matching Crown Mouldings, columns and valances also available. Matching Crown Mouldings also available. 90 degree Side Wrap Melamine Doors. 7 Colours and wood grains to choose from. Regular P.V.C Edge tape, or 3mm edge tape available. Laminate counter tops in blanks or ready to install. 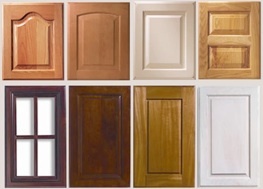 Available in, Oak, Maple, Cherry, Edge Grain Fir, Alder, Hickory, Clear Pine, Knotty Pine. Dovetail Drawer boxes, 5/8" solid Birch sides, 1/4" or optional 1/2” plywood bottoms. Wood Mouldings, corbels and decorative ornamentals in many styles and species. 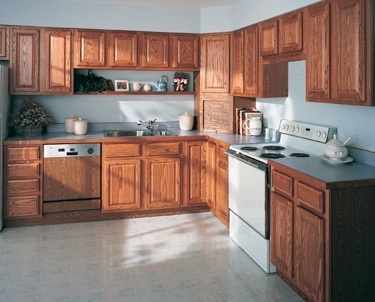 We also supply ready to assemble custom cabinets made to order in your sizes and specifications (eg. white & maple melamine boxes or choice of plywood). Alongside this we offer a variety of edge taping solutions to these high quality pre fabricated drawers and boxes. All doors and drawer boxes are custom made to your measurements. Metric or Imperial.